To Benefit Firehouse Engine 33/Ladder 13. Detroit firefighters rock. We know that. 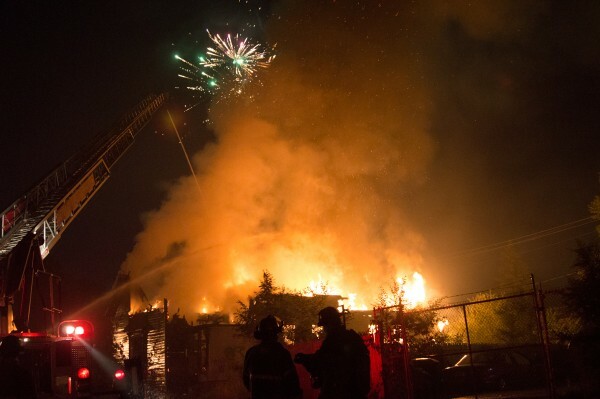 We know: Arson is a crisis of epic proportion in Detroit. With more than 80,000 abandoned buildings within Detroit’s 140-square mile city limit, no city in America has more fires burning. On any given day, Detroit firefighters are called to battle an average of 30 to 40 fires. Half of those fires are acts of arson, 50 times the national average for arson-related fires. The stats translate to approximately 9,000 working structural fires a year, not counting the routine dumpster fires and thousands of medical emergencies to which the Detroit Fire Department responds. Every day. And every night. Even more astonishing than the fire load is the level of need in the Department. 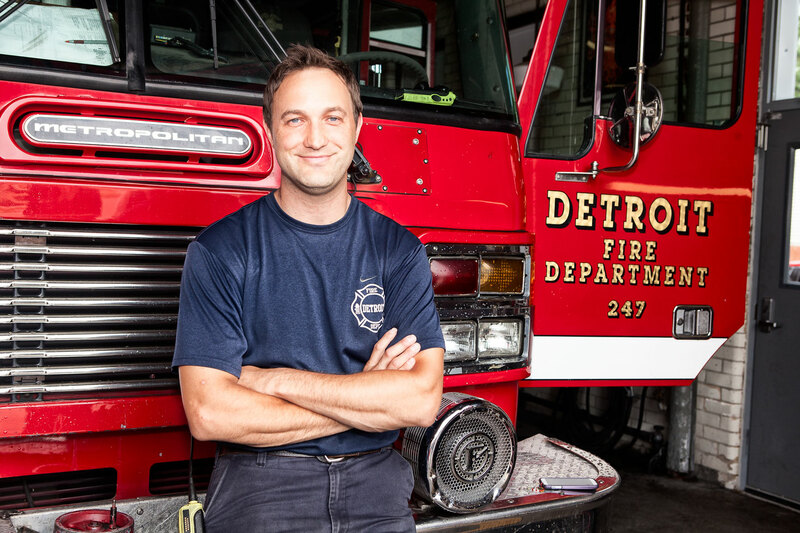 A direct result of a shrinking population, the erosion of neighborhoods and the cost cuts to services to residents over the years, the Detroit Fire Department (DFD) is sorely underfunded, underequipped and undermanned. With its big, bright red doors swung wide open on a sunny afternoon in July, the old firehouse is a welcome sight on 1041 Lawndale, in the heart of a struggling, but vibrant neighborhood in Southwest Detroit. Standing watch for the rest of the crew on a scheduled break for a nap after three alarms the previous night, Firefighter Adam Green greets representatives from the Jewish Federation’s NEXTGen “Pitch for Detroit” team. Now in its fifth year, Pitch for Detroit is the signature annual event of CommunityNEXT, a program within Federation’s NEXTGen Detroit. This year, the event returns to Belle Isle on Sunday, August 10, with the goal to raise $25,000 to support the firefighters of Engine 33/Ladder 13. Ditching its original softball format to play a kickball tournament this year, Pitch is expected to attract more than 200 players and another 500 spectators for a day of fun, food, music and meet-and-greets with the firemen and their families. With its big, bright red doors swung wide open on a sunny afternoon in July, the old firehouse is a welcome sight on 1041 Lawndale. 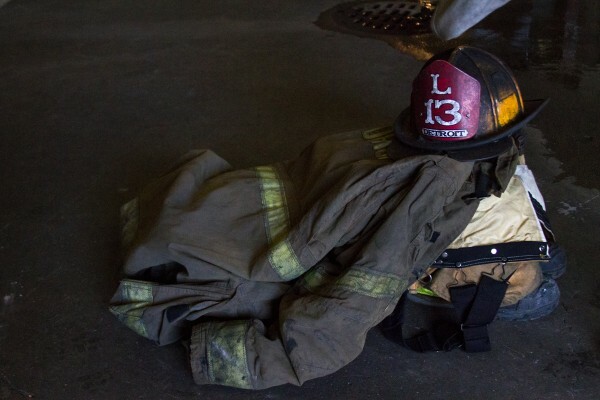 With high hopes to get Ladder 13 back in service within the next eight months, and with almost 70 firemen in the Academy at present, Firefighter Green describes how the Detroit Fire Department is still down hundreds of firefighters. 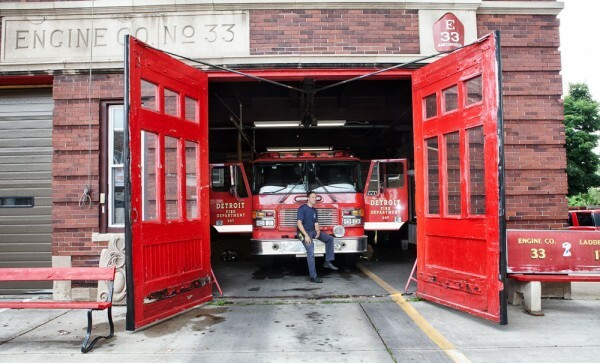 With no new hires in recent years, the average age of the Detroit Fire Department is 43. Many older firefighters on the force say that fighting fires is a young person’s job. The average age should be closer to 30. One thing you learn quickly after meeting a firefighter, especially in Detroit, is that they all seem to have other talents, jobs or careers that they pursue on their “leave day,” which is any day they are not scheduled to work a 24-hr shift at the firehouse. Some are electricians, builders, or landscapers. Some are instructors at colleges and nurses on their leave day. 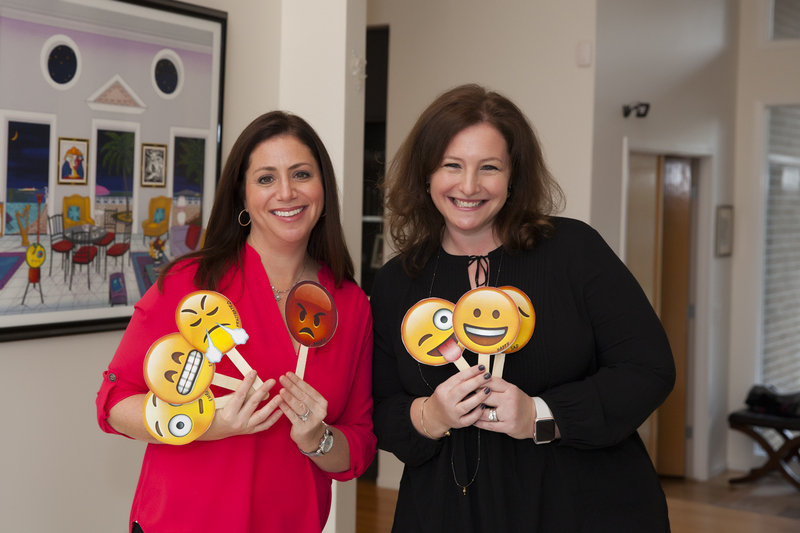 And, some are small business owners like Firefighter Green who founded and owns Green Sky Creative, which is a boutique creative studio specializing in video, film and photography. Firefighter Green says, “Most of us have second jobs and careers not just because we have other skills and dreams, but because we simply cannot afford to support our families on the fire department salary and benefit plan alone. The pensions and benefits that were promised to us when we signed up are now being severely cut and threatened altogether thanks to the current financial state of the city. No matter what. The Firefighters still go out every day and night. Boots! Leather fire boots, a fraction of the weight of the boots we wear now and much more durable and comfortable, would be better for us by leaps and bounds.” At $300 a pair, they cost more than most of us can personally afford. New flashlights. We need better than the two-battery Home Depot special that’s been our standard issue. When I need to turn on a flashlight, I want people to be able to see it and me to see what’s in front of me because their life depends on it. At $100 each, the cost of high quality flashlights that can withstand the wear and tear they receive in Detroit can really add up. An ice machine. We go through tons of ice, staying hydrated and cooling down after a fire. We can use an industrial-size ice machine. A new dining room table. We cook together, clean house together. It would be nice to sit down to eat together like a family at a nice table with chairs that are not duct-taped together! New furniture for the office, where we manage all of our paperwork and stay on call in shifts 24/7. An elliptical machine. Some equipment beyond the free weights in our exercise room would be really appreciated and go along way. New pots and pans. Some of the stuff we have in the kitchen is as old as the house itself. Household repairs and some needed upgrades that the city does not provide, like new spring doors. Internet and cable. Like most everything around the firehouse, we all chip in our own money for that now. A sofa and some chairs to convert our locker room into a more comfortable area for a little downtime and R&R in between calls. The Fund Getting it Done.